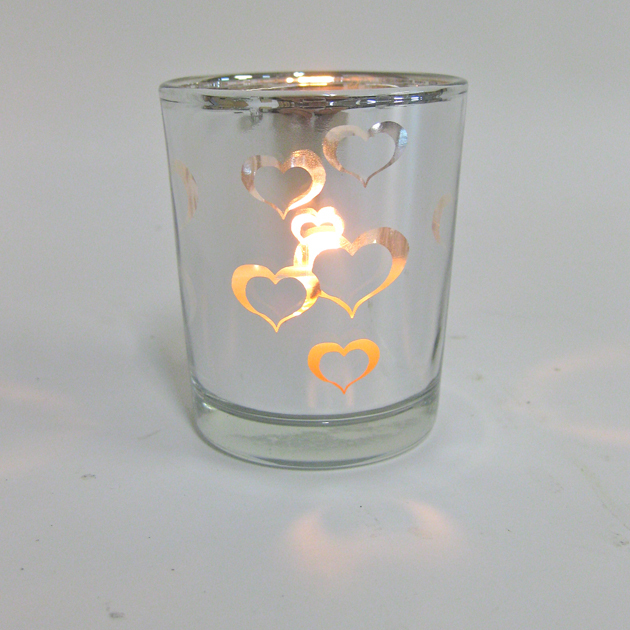 Recently I came across these gorgeous new votive glasses. 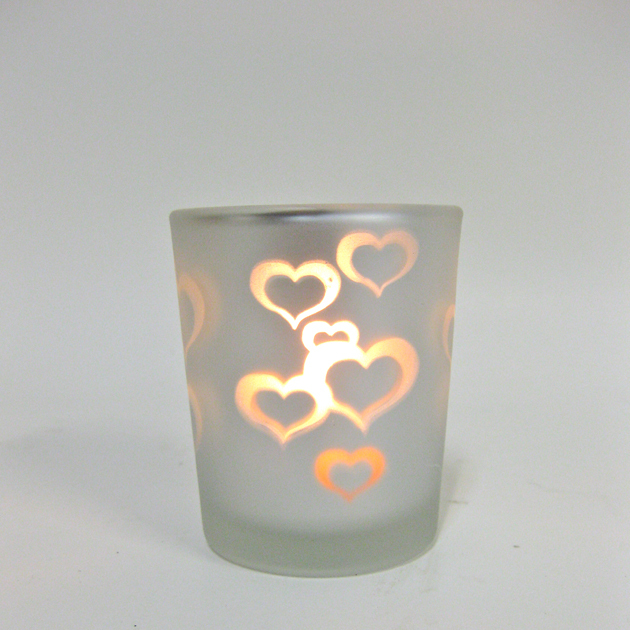 Available in both clear and frosted and in two different designs: roses and hearts. 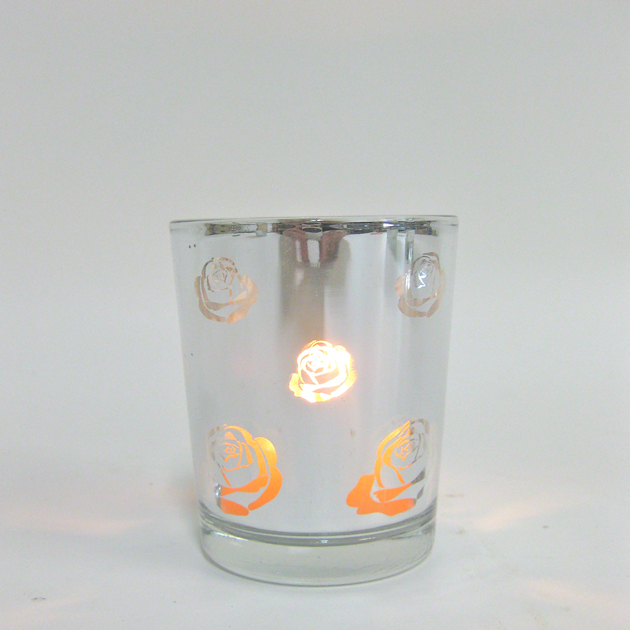 What I absolutely adored about them is the silver lining on the inside. Fabulous analogy for life really. 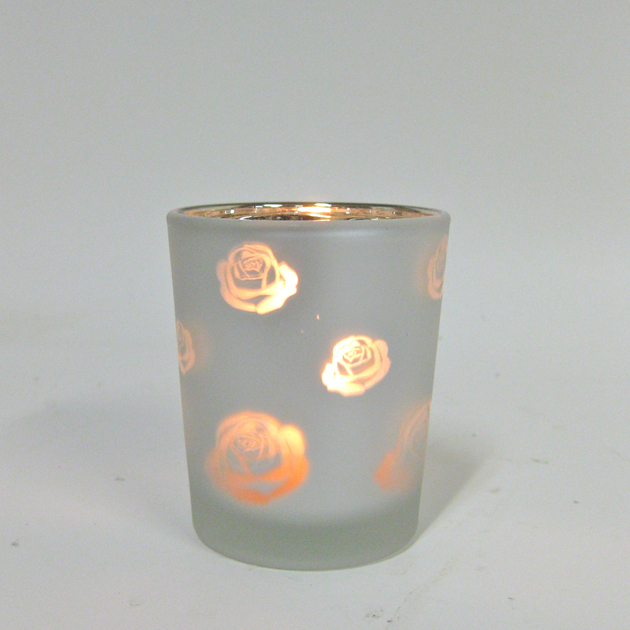 Seeing the silver lining… love… and stopping to smell the roses – all brought to life by the beauty of beeswax light. I seem to collect piles of paper unintentionally. Eventually I get fed up and decide I’m going to trash it all, but as I slowly make my way through each pile I realise there is method to my madness. They are a veritable treasure trove of interesting articles (and less interesting bills)! 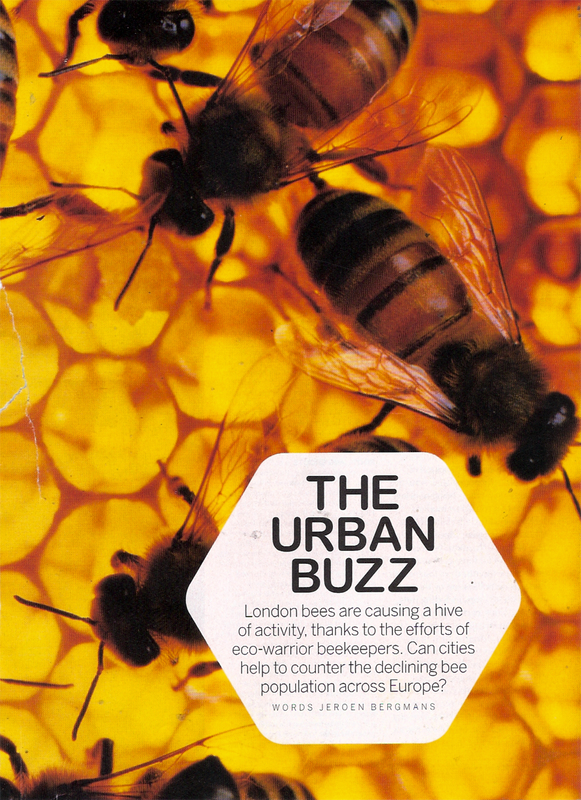 This is a great article on urban beekeeping in London and asks whether city bees are part of the answer to the declining bee numbers. I found the article in the EasyJet Traveller magazine. Click on the link below the picture to read the pdf, or read on below where the article appears in full. London bees are causing a hive of activity, thanks to the efforts of eco-warrior beekeepers. Can cities help to counter the declining bee population across Europe? When you spot a bee furiously head-butting a window pane this summer, be sure to let it outside to go about is business as these busy little creatures have had quite a tough time of it lately. In the past three years, bee populations across the globe have been savaged by a combination of the parasitic Varroa mite, which infects bee larvae with deadly viruses, and a mysterious syndrome called ‘colony collapse disorder’ which continues to baffle scientists. Bee-keepers have been opening up their hives at the beginning of spring to find them either totally abandoned, with stores of pollen and honey untouched by other bugs and wildlife, or full of thousands of tiny corpses. Some scientists claim the bees are being killed off by a deadly cocktail of pesticides, other that their sensitive navigation system is being wrecked by radiation caused by modern technology. Einstein claimed that if been colonies were wiped from the face of the earth, mankind could only survive for four years as one in every three mouthfuls of food we eat depends on pollination by the honey bee. With 90 crops including nuts, apples, onions, carrots, pears, plums and cotton struggling to propogate, farmers are wringing their hands in despair and this crisis is on the agendas of top politicians in Europe and the US. But ironically, part of the solution could come from conscientious, urban eco-warriors who are setting up healthy, thriving hives on rooftops, by railway tracks, on allotments and in tiny gardens. Cities tend to be around three degrees warmer than rural areas which means urban bees come out of hibernation a month before their country cousins. Plants in parks and gardens also flower throughout the year and are pesticide-free, resulting in bumper crops of richly flavoured honey that can comfortably compete with varieties derived from agricultural crops that bloom only in the summer months. Last year the story of 15-year-old beekeeper Philip Schilds was picked up by British newspapers and covered on TV by celebrity chef Hugh Fernley-Whittingstall. Philip and his stepfather Ian produce 2,000 jars of honey a year from the eight hives on the roof of their Victorian terrace house in East London, accessed by a precarious ladder. Each hive cost them around £250 (€280) but by selling their organic produce to local shops and the stalls on trendy Broadway Market they set up a small company, Hackney Honey, which is now turning over a tidy profit. As eco entrepreneurs are all the rage, Philip and his fellow urban beekeepers have spawned something of a craze among Londoners with a green conscience. All that’s required is a bit of space, understanding neighbours along with a hive, an astronaut-style suit and a bee colony, all of which can come through the post. But as keeping hives is as much a science as a hobby, budding urban beekeepers should first head down to Elephant and Castle in the depths of South London to take an induction course. The queen is crucial to any beekeeper – one hive will have up to 60,000 female worker bees in the height of summer and 2,000 male drones, but only every one queen. Workers are given a range of tasks depending on seniority which include collecting and storing nectar, pollen and honey, tending to the eggs and larvae in the nursery and feeding the queen. Only about 10 of the drones get to fulfill their mission in life – mating with a young queen – after which their abdomens explode and they die. The queen is then fertile enough to lay 1,000 eggs a day for up to four years or until another pretender to the throne emerges from her vast brood. Bees communicate by shaking their behinds in a ‘waggle dance’ and when the dancing gets to a gossipy frenzy, the bee-keeper will get prepared for the arrival of a new queen which will trigger a swarm. The old queen is put on a diet so she is light enough to fly and then flees the nest with thousands of faithful followers who crowd about her in a writhing, buzzing bundle of bees about three metres above the ground (usually in a tree) before this new, break-away colony moves on to make a new home. Preventing or controlling a swarm in the spring is the trickiest bit of being a bee-keeper. Sometimes the queen’s wings are clipped to stop her flying off, but usually bee-keepers learn to spot queen larvae and split the hive to avoid a swarm. As one sting releases a pheromone that acts as a signal for the whole colony to attack, beekeepers also make sure that trousers are tucked into socks, astronaut suits (complete with netted veil) are sealed and the smoke machine that makes bees docile is always at the ready. The honey is extracted from removable honeycomb drawers in a machine that resembles a giant salad-spinner is tasty, organic and can be used as an anti-septic or a cure for hay-fever. I actually first came across Eric Tourneret over a year ago, but was reminded of him recently and thought I’d share the secret. Having now sat for over an hour trying to work out where to begin and what to say and trying to think of several synonyms for ‘amazing’, ‘beautiful’, ‘moving’ and ‘extraordinary’ I have decided that I will spare us all. Simply click on either photograph or his name above and you will be linked directly to bee photography heaven. Of particular interest to me are the photographs of urban beekeepers on the Parisian rooftops and in New York… stay tuned for an exciting new project that I’ll be launching in the lead up to Spring!